Over 100 guests packed out The George in Rye last Saturday November 17 to bid for a host of spectacular lots, including a flight in a vintage Tiger Moth, UEFA Champions League tickets and a dinner party for 12 cooked for you in your own home. 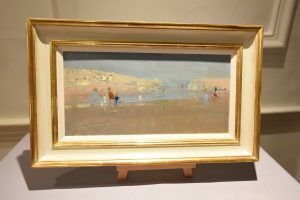 The lot raising the largest amount, with a winning bid of £4750, was an original oil painting – Camber Beach – donated to the appeal by Fred Cuming RA, the celebrated local artist whose work is held in collections worldwide. In total over £17,000 was raised by the auction on the night, with a further £6,700 being raised by online bidders in the weeks beforehand. The event was also supported by a series of well-wishing local sponsors, enabling guests to dine on sustainably-sourced lamb grazed at Camber Castle, donated by farmer Frank Langrish, with sparkling wine from the Oxney organic estate in Beckley and chardonnay from Tillingham Wines, whose vineyards are even closer in nearby Peasmarsh. Editor’s Note: The Friends of Rye Harbour Nature Reserve is a charity whose 2,000 members support the Nature Reserve’s work through subscriptions and volunteering. Since 1973, it has part-funded the cost of staff, land purchase, large scale habitat creation, tools, vehicles and visitor facilities such as bird watching hides and information centres. It provides events for its members throughout the year. 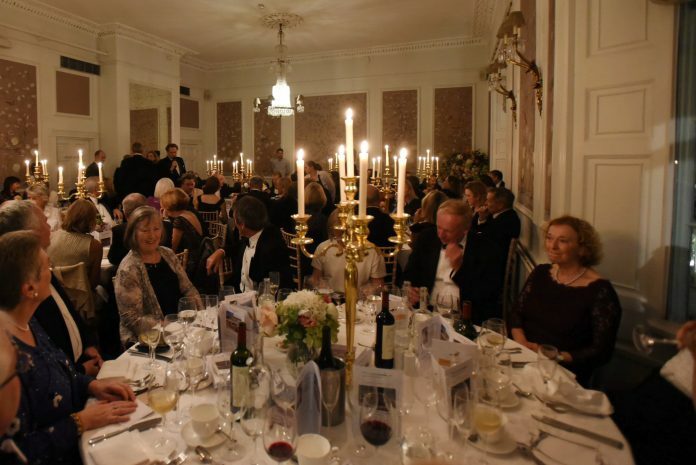 You might want to revise the photo’s caption ‘Fundraising Dinner for the new Discovery Centre at the George in Rye’ – isn’t the Discovery Centre to be at the Nature Reserve?